Jess and Ben are twins. 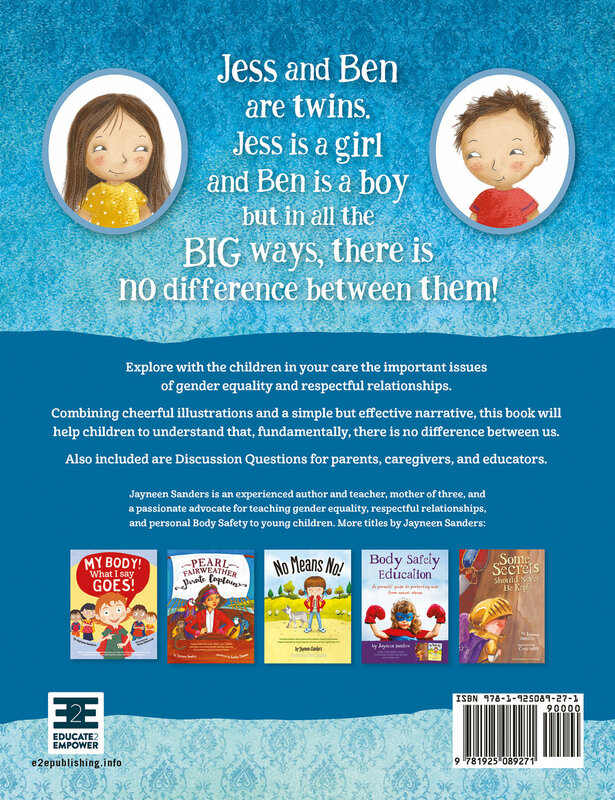 Jess is a girl and Ben is a boy but in all the BIG ways, there is NO difference between them! 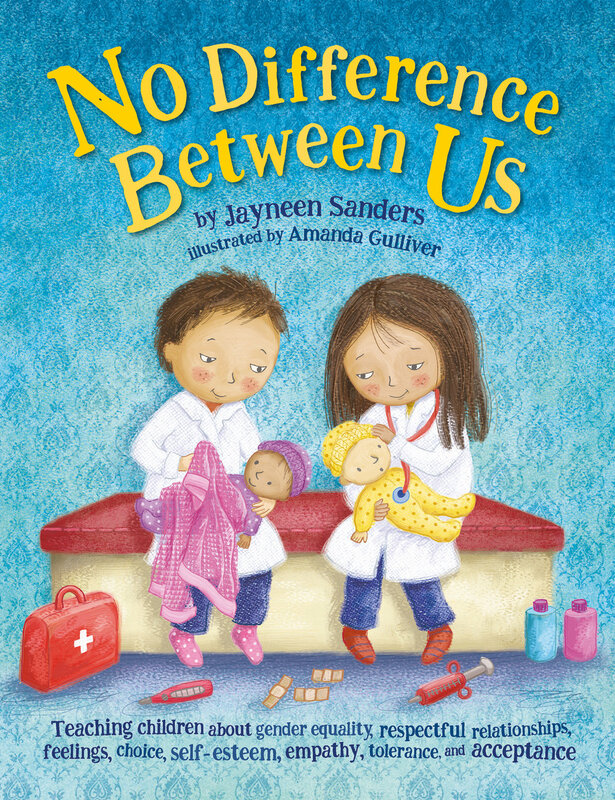 This beautifully illustrated picture book sets out to explore with young children gender equality and respectful relationships. We know that teaching these concepts from an early age is crucial in reducing gender-based violence. Children are visual learners and the match between illustration and text will assist them to understand that we are all human — everyone feels, and everyone has hopes and dreams. Our gender should be and needs to be irrelevant. 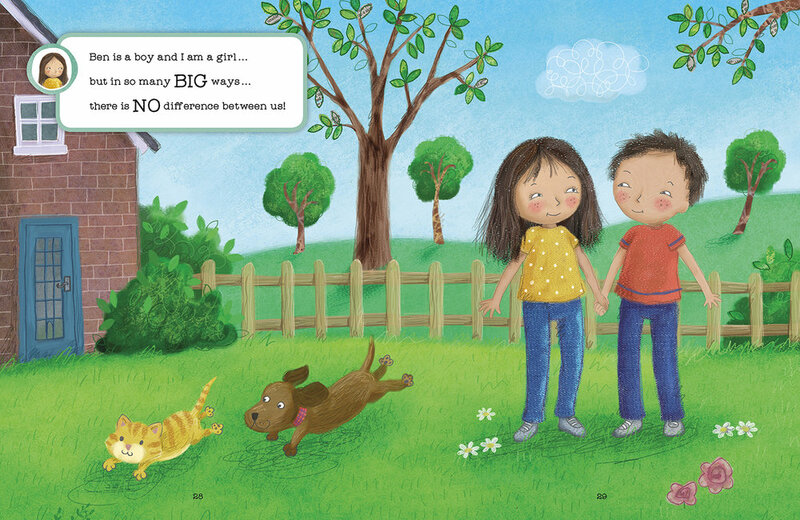 Throughout the text, open-ended questions are provided so children have the opportunity to talk about their own experiences, allowing them a voice. There are more in-depth discussion questions at the back of the book, encouraging the reader and the child to think about each scenario, and engage with its message.